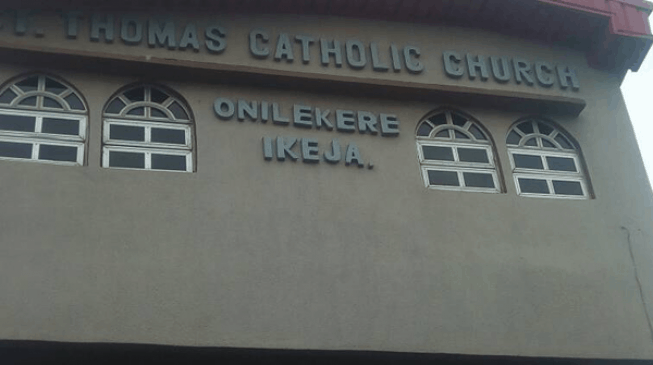 Some gunmen have attacked Daniel Nwankwo, parish priest of St Thomas Catholic Church, Onireke, Lagos, on Friday. A parishioner, who simply identified himself as Valentine, said the assailant stormed the church around 9am. He explained that the victim had just finished attending to a church member when he was attacked. “They were three in number. The men came into the church as if they were parishioners,” Valentine told TheCable. “When they arrived here, father was taking confession. As he was walking away after rounding off, they approached him and told him they need N5,000 to use in paying the hospital bill of someone. Another witness, anonymously, said the attackers scaled the fence after hitting their target. Meanwhile, the suspected killers of Rev. Fr. Cyriacus Onunkwo of the Orlu Catholic Diocese, Imo State, were on Thursday paraded by the state Commissioner of Police, Chris Ezike. The prime suspect has been identified as a 32-year-old dismissed ex-Corporal Jude Madu, alleged of leading the abduction of the cleric. The late reverend father was travelling home for the burial rites of his father, Celestine Onunkwo, when he was kidnapped and killed eventually.